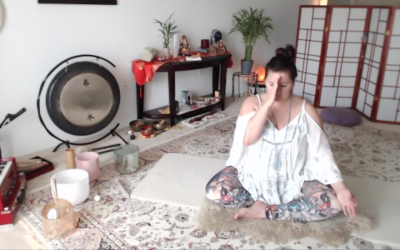 MELTed Self Care for your Soul and Instagram Yoga Challenges! Catching up on yesterday’s MELTed Self Care …. I was too exhausted to post last night after the ER, but I did do my Full Hand Treatment and Full Foot on the non injured foot first thing upon waking yesterday morning. It really helped to lessen the pressure and I could even see the discoloration moving from that stagnant appearance!! Love and Light! Catching up with own version of Day 28 of#nourishwithyoga . It was #urdhvaprasaritaekapadasana –#standingsplits. As I spent the afternoon in the ER for a broken ankle, I didn’t get my Yoga asanas in, let alone a standing split, lol. But, my practice yesterday included Pranayama, which we all know can be an important for calming and initiating the healing mechanisms of the body!! It also has helped me tremendously in accepting this major bump in my road …. We’ll never know why things happen, but change is always something we can count on!!! Love and Light!